For Americans visiting Europe, an integral part of the adventure is partaking of the local cuisine and libations. When Europeans immigrate to our country they too enjoy our regional cuisine, at least for a little while. Eventually, they begin to miss a fine Irish whiskey or a delicately seasoned Polish sausage. Fortunately for Blue Ridge, some of these traditional European fares have established themselves here in the mountains. On your next stay with us, consider visiting one of these fine establishments. Over 4,500 miles separate the Blue Ridge Mountains and the Bavarian Alps, but only a few miles come between our cabins and the genuine vibes of a German beer garden. 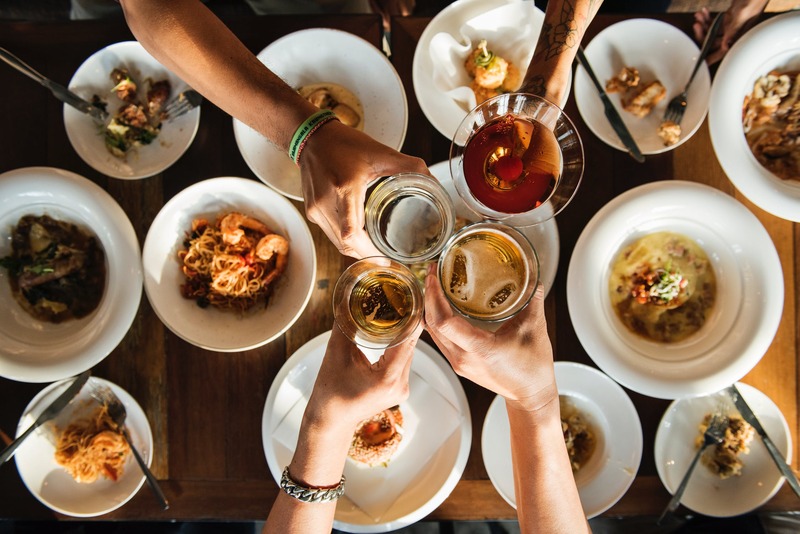 If you are looking to have a non-American food experience, then try a sampling of sausages with choices that include Boar, Venison, Buffalo, Pheasant, and Elk. If you want to experience something on draft besides Miller Lite, then cozy up to the bar and start asking about their outstanding hops selections. 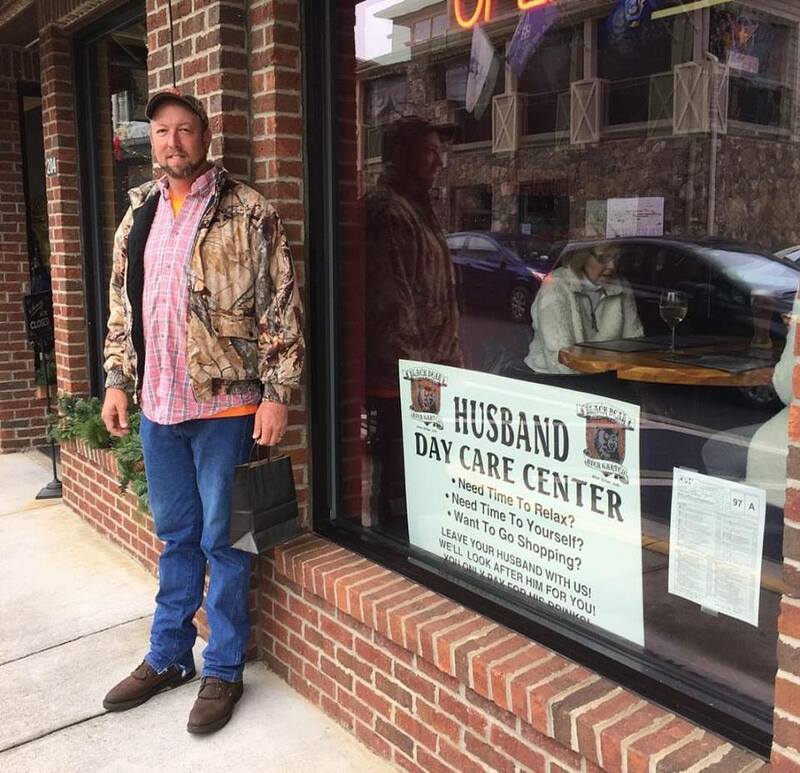 And if you don’t want to take your husband shopping with you, the sign on the door at the Black Bear acknowledges that they have free husband daycare! Meet him later for a brew and a large German soft pretzel. You won’t be disappointed. The curb impression is very deceiving as you drive up to the Boro Inn. From the outside, there is nothing authentic about it. As you open the door, you enter a pub in the County Wexford, with Father Brendan Doyle (retired) officiating behind the bar. With 177 different handcrafted libations including whiskeys and brews whose recipes span 1,300 years, there is nothing that isn’t authentic at the Boro. 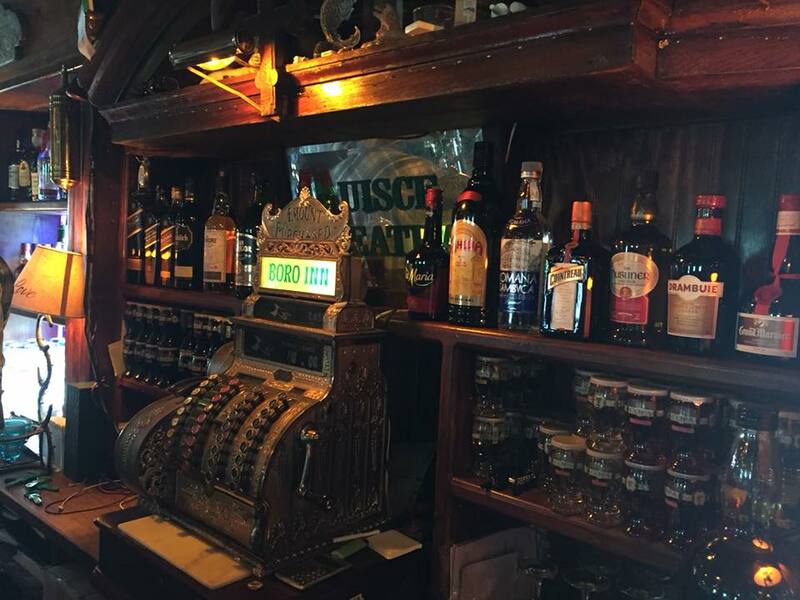 Part pub, part museum, you will be as captivated by historical artifacts as you will be by the bartender’s brogue. The music, the stories, the potations and the grub will land you smack in the middle of The Emerald Isle while you vacation in the North Georgia Mountains. 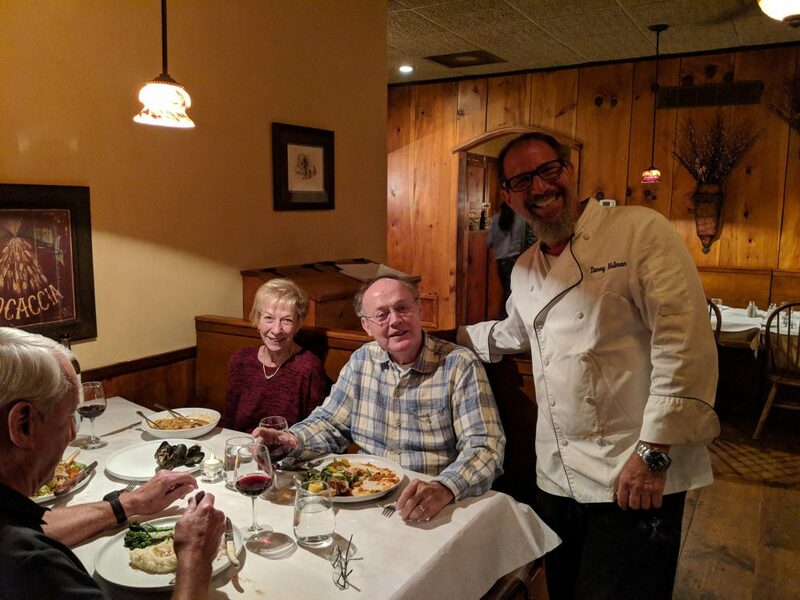 Chef Danny Mellman takes Italian fare to a new level at this fine-dining ristorante located in Morganton, GA, just a few miles east of Blue Ridge. This is the perfect place to spend an evening with friends. Start out with a plate of Frito Misto- flash fried calamari and fish with artichokes and lemon and charred tomato-lemon aioli. The salads are shareable in size. The Treviso is a patron favorite – with bacon, balsamic, fresh pear, walnuts, and Gorgonzola. A myriad of pasta, risottos, and polentas, with fresh roasted vegetables, compliment delectable fresh sauces, meat entrees, and the finest of seafood. This is Old World Italian cuisine served mountainside. Reservations are recommended. Do you often crave your Babciu’s pierogi? Maybe you always preferred her meat pies even though everyone else fought over the potato and cheese filled pockets. Has it been years since you dove into a dish of your grandmother’s cabbage rolls? Margo wants to satisfy those memories. She is in her kitchen preparing all of her menu by hand daily to assure the best quality taste. 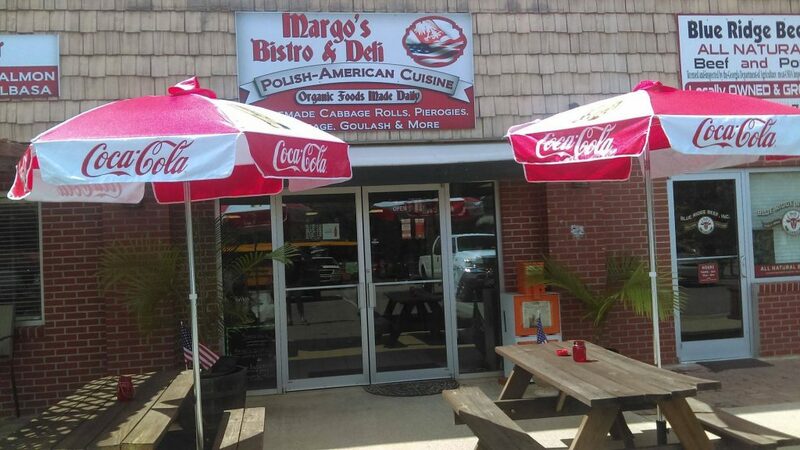 When the weather cooperates, you can enjoy amazing Polish sausages, krauts, goulash, soups, and baked goods served on the kawiarnia na dworze (outdoor patio). Whether seated indoors or out, having a chair in Margo’s kitchen means a visit from Margo, too. You will love the food, the experience, and the chef. Next PostNext Where Do I Find Souvenirs? Where Do I Find Souvenirs?